During the racing season and, in general, at any time of year is especially important not to use drugs unless absolutely necessary. 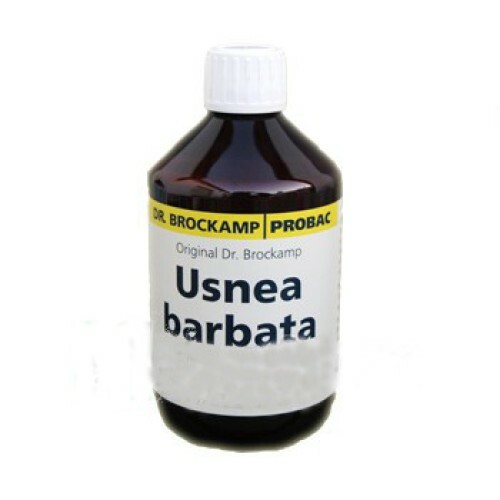 The continued use of regular and Usnea Barbata Dr. Brockamp-Probac provides the body of pigeons and birds, a natural resistance against trichomonas. * Preventive, 100% natural, against trichomoniasis. - Usnea Barbata applied 2 x weekly or every 5-6 weeks for 5-7 days has an exeptional preventive effect. It achieves a natural protection without building up resistance. - For administration through the drinking water. - Recommended dosage: 5ml Usnea Barbata per 1 litre of water twice a week.